The past year has yet to deliver any meaningful reforms of the EU's fractured internal asylum system. 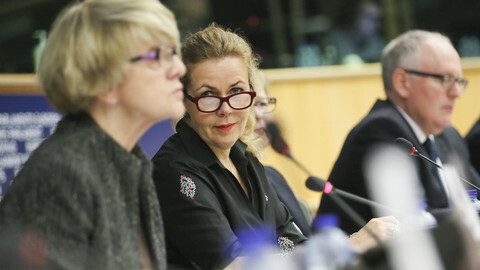 The half-dozen bills under discussion remain either mired in political standoffs, or left on the desks of understaffed and overworked EU delegations. In October, the EU's council president Donald Tusk set a deadline to finalise the asylum package "with a view to reaching a consensus in the first half of 2018." It is a familiar refrain that ignores the more practical aspects of national staff at the Council - representing member states - of having to sift through the fine print. 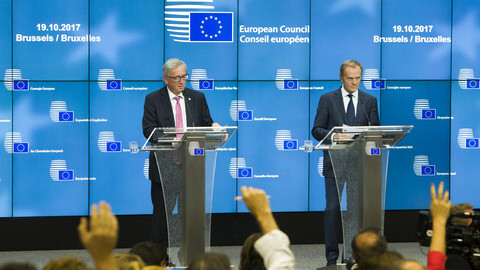 EU laws and reforms proposed by the European Commission are agreed between the Council and the European Parliament. But when it comes to asylum reforms, so-called working parties (where member states sort their differences at the lower echelons in the Council) are confronted with logistical nightmares. Each state has a delegation of people in Brussels working on EU laws. Depending on the files, some have more staff than others. "There can be two meetings happening at the same time, but there is only one councillor," noted one member state official working on the asylum reform files at the Council. 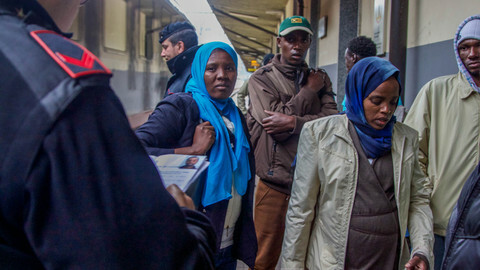 The official said some of the biggest member states have also offloaded numerous complex asylum reform files onto a single person in their delegation, rendering the task of reaching an agreement even more difficult. "This is the choice of the capitals," said the official. Despite the packed weeks of meetings on asylum under the Maltese and Estonian EU presidencies in 2017, actual results have been sparse. 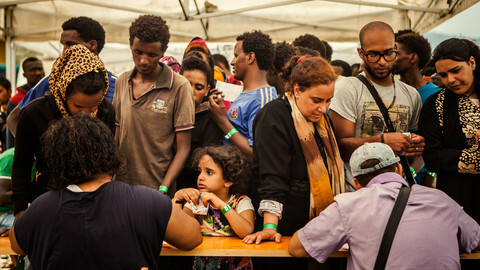 Of the seven EU asylum files under negotiation, only one ended in an inter-institutional agreement, as of mid-November. The EU presidency under Malta earlier this year had managed to wrap up the reform of the EU's asylum support agency, Easo. Based in Malta, the agency will now be able to monitor how EU states implement asylum standards and rules. It was also granted the power to tell EU states, in a non-binding nature, how to apply laws on asylum applications. Such a move is not insignificant, as it lays a possible foundation for creating a centralised asylum system where decisions are taken by a sole European authority. That was the easy part. The rest risked upending the EU as governments clashed over migration. Malta had been tasked to find a consensus among EU states on the biggest and most politically sensitive file, the so-called 'Dublin regulation', before the end of its presidency in the summer. It was a non-starter. Dublin determines the member state responsible for processing asylum claims. But its underlying idea of imposing a new mandatory quota on asylum claims reached a political impasse. 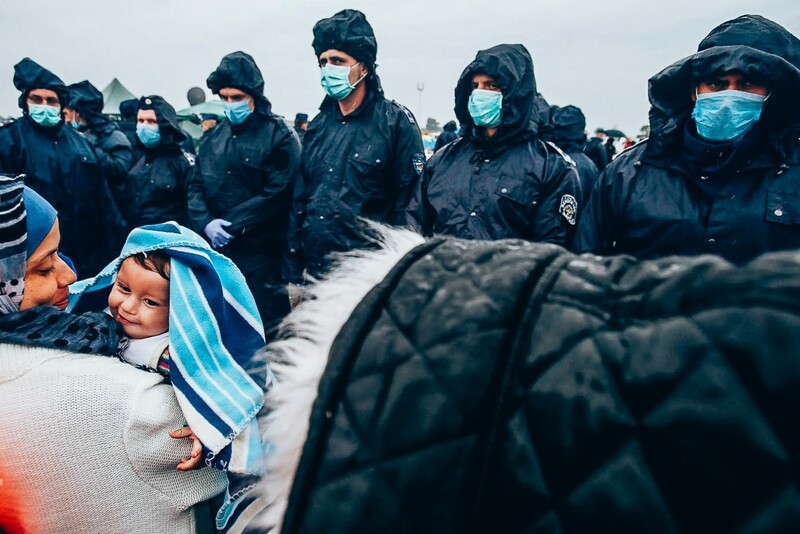 The Czech Republic, Hungary, Poland and Slovakia, also known as the Visegrad Group, balked at being told to take in asylum seekers. The Visegrad Group had also resisted separate efforts to relocate asylum seekers from Italy and Greece. The two-year relocation scheme, which ended in September, would somehow be replaced with the new quota system under Dublin. The Maltese EU presidency then attempted to strike a balance between solidarity and responsibility under Dublin, by allowing states hostile to taking migrants to trade off technical and financial support instead of actually hosting asylum seekers. The plan never took off and the following Estonian EU presidency attempted its own compromise. Dublin was, however, broadly shelved until a later date by EU states. In the Council, France and Germany appeared to resist changes to their own entrenched national systems. Smaller member states, with less developed systems, were less reluctant. "The Visegrad is very constructive in other files and I would say that other bigger member states are actually more problematic in giving up their systems," noted a second EU official. But the remaining bills, while politically less volatile than Dublin, are not easy. Among them is the reception conditions directive and the asylum procedures directive. Both are tough but by far the most difficult is the asylum procedures regulation. Currently a directive, the plan to turn it into a directly applicable regulation includes over 60 articles. The Council is not getting anywhere on the bill. 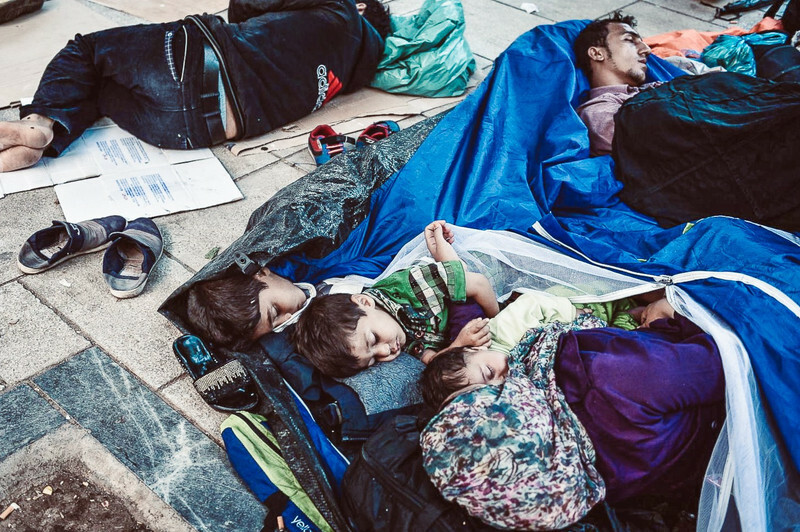 "The Council is still at the very initial stage, it hasn't moved from the first technical level," said Kris Pollet, a senior policy officer at the Brussels-based European Council on Refugees and Exiles (Ecre). The regulation instructs member states on how to grant and withdraw international protection from people. But its complexity and reach has left many EU states nervous. Issues like creating an EU list of safe third countries have not even been discussed. Debates on 'admissibility', where a person's asylum status is determined, are also difficult. The reception conditions directive is only slightly less difficult. Member states appear lost on the file but still managed to agree on mandate. The directive touches on things like education, access to the labour market, and detention. One major problem is labour market access for asylum seekers. Another is stripping away benefits of asylum seekers who end up in an EU state that is not responsible for them. Other questions, such as providing guardians to unaccompanied minors, are also without answers. Which leaves the qualifications regulation. Both the Council and the EU Parliament have adopted their positions and are now in talks but expect no agreement this year. Issues on residency permits for refugees and people with subsidiarity protection have yet to be resolved. Of all the files, only Eurodac appears to have any chance of reaching some sort of agreement before year's end. Eurodac is a biometric database for migrants and asylum seekers. Children as young as six will have their finger prints taken and faces scanned for police access. It is a controversial proposal. Some argue it is needed to protect and identify lost children, others say it is a fruitless exercise in data collection. All of these bills and reforms, including legal routes under the 'Blue Card' work placement and resettlement, will have to be sorted by the upcoming EU Bulgarian presidency to meet Tusk's deadline. It is a prospect that has raised some concerns. In May, the Bulgarian government appointed Valeri Simeonov, one of the founding members of the right-wing National Front for the Salvation of Bulgaria party, to head ethnic minority integration. A government that appoints a man who once described Roma as "brazen, feral, human-like creatures" appears unlikely to find the solidarity solution that has so far eluded everyone else. 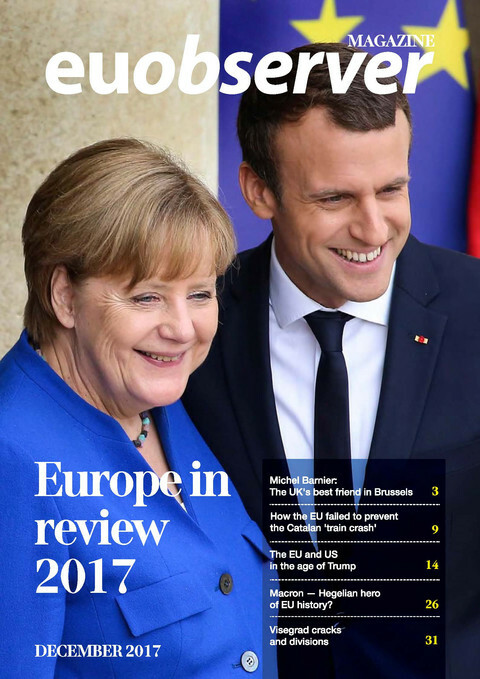 This story was originally published in EUobserver's 2017 Europe in Review Magazine. Click here to access EUobserver's entire magazine collection. 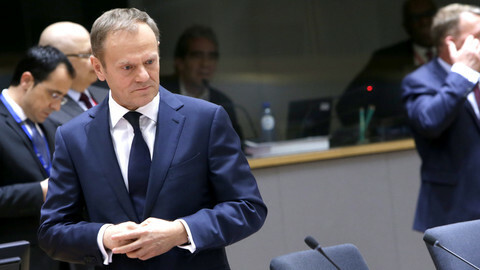 EU leaders are aiming to reach a consensus on the Dublin asylum reforms by early next year, announced European Council chief Donald Tusk. But first, they want to shut down the Central Mediterranean route from Libya. The EU Parliament's lead negotiator on the Dublin rule, a key asylum regulation that has sparked a political clash among EU states, is now demanding for an automatic and permanent relocation scheme. EU Council chief said obligatory migrant quotas unlikely to be renewed, but warned of "consequences" for EU states that break solidarity. Jose Carreira, the European Asylum Support Office executive director, lays out his vision for an agency on the cusp of becoming much bigger and more powerful. A Friends of the Presidency group, set up by the Bulgarian EU presidency, has sifted through the European Commission's proposal to reform Dublin, an EU asylum law that has sparked widespread political tensions and divisions. 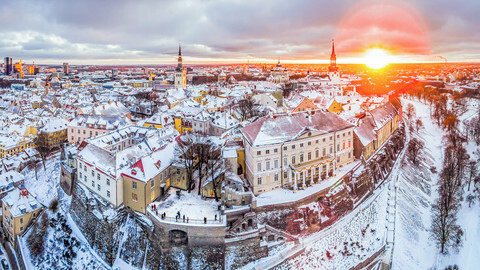 The leaders of Estonia, Latvia, and Lithuania say in a joint letter that they are open to talks on creating "new own resources" for a bigger EU budget after the UK leaves the EU.